Chester, PA--To enable its loudspeakers to be used in voice alarm systems in venues across Europe, Community Professional Loudspeakers has applied for EN54-24 Certification of many of its large-scale loudspeaker systems through the international laboratory network of European Notified Body, Intertek. EN54-24 Certification pits speakers against a number of tests, including vibration, shown here. Their newly opened Life Safety & Security testing facility in Leatherhead UK had been developed to accommodate larger products used in fire detection and evacuation and had the capacity to test Community's loudspeakers which weigh between 40 and 145 kilos. According to Community, large venues of every kind need intelligible voice evacuation and mass notification capabilities, yet many typical fire-alarm voice-evacuation systems provide neither the voice intelligibility nor the sound levels (volume) needed to effectively communicate with very large numbers of people over the ambient levels of a real-life emergency situation. Throughout Europe, venues such as stadia, sports and convention centers already have high intelligibility, high-level sound systems for entertainment and voice paging which can communicate effectively. For such systems installers could comply with the BS EN 60849 Standard for the installation, but there was no common laboratory test for the loudspeaker equipment. This remained subject to different requirements in every country. The introduction of the EN54-24 Standard changed this, providing a harmonized EU standard to test to. EN54-24 specifies the minimum requirements for voice alarm loudspeaker as a component of a voice alarm system to provide intelligible warning when a fire emergency has occurred and provides a common method of testing their operational performance. It also specifies the common requirements for construction and robustness under climatic or mechanical conditions that might occur in a service environment. With EN54-24 addressing the performance of products before and after they have been conditioned by factors such as corrosion, changes in temperature, vibration and impact, Intertek's test and assessment engineers worked closely with the technical experts at Community to put various models through their paces. 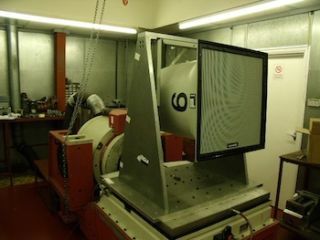 Intertek's newly built acoustic chamber enables test engineers to take audio readings at 4m as required by EN54-24 and their 998cm3 SO2 corrosion chamber (double the size of most corrosion chambers operating) is capable of conditioning larger products to simulate environmental aging. "Sometimes new standards seem to result in nothing but red tape and bureaucracy," said Chris Foreman, Community's COO. "But EN-54-24 actually allows high quality professional audio systems - systems that often exceed the output capabilities of standard emergency products - to be used in emergency applications. Community systems, particularly R-Series Systems, are already the go-to product in Europe for outdoor entertainment systems. Given their exceptional voice capability, we expect that we will continue to enjoy great success as this directive progresses."